We have tried stacks of reusable drink bottles since having kids. Some have broken, others have become too small, and of course some have gotten lost! But we persevere because we think it’s important that our children drink quality water everyday, and we don’t want to buy disposable bottles for them. Those single-use plastic ones are terrible for the environment and can leach chemicals into the water too. 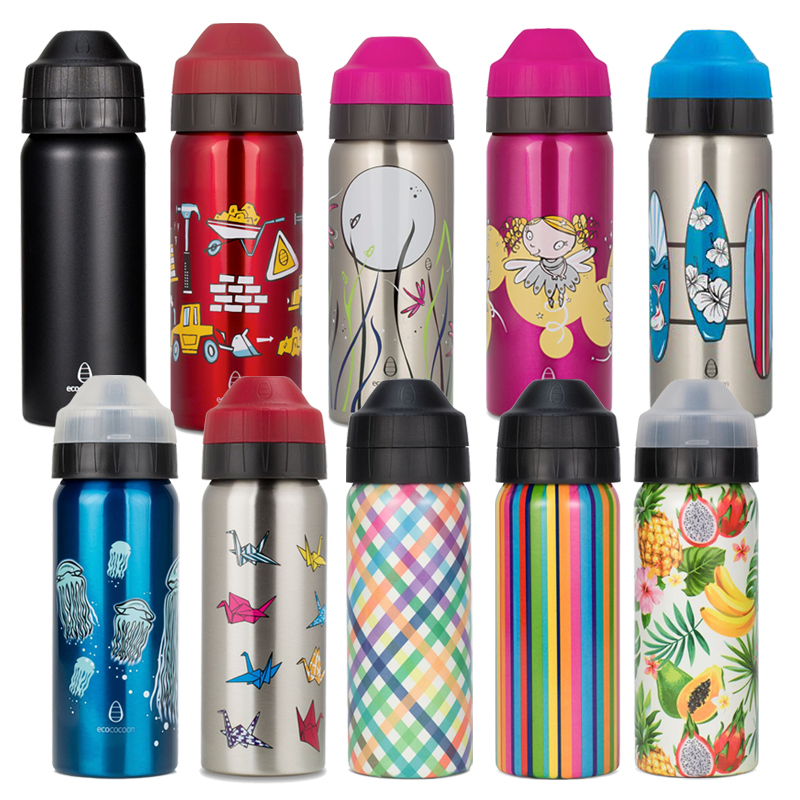 Click here to go straight to the very best reusable and leak-proof water bottles! 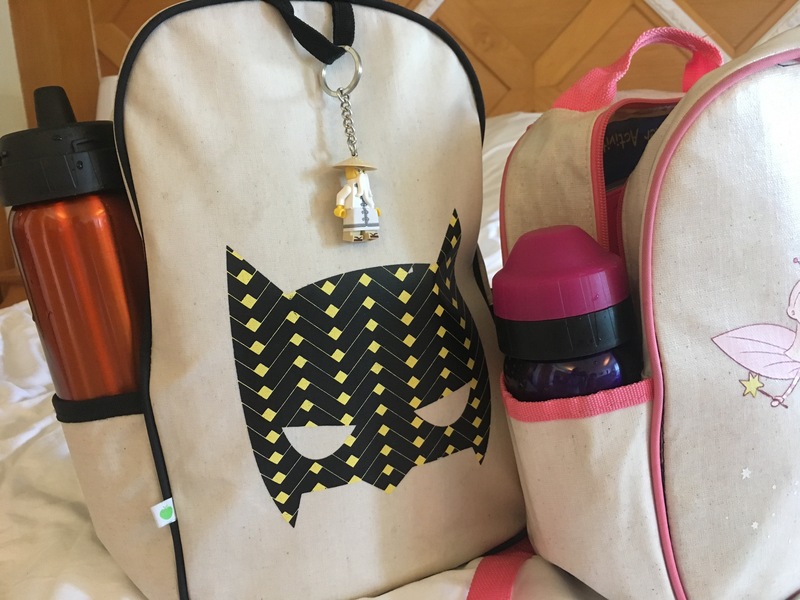 Luckily for you we have done a lot of research and testing, and have some great recommendations for your adventures in kids’ portable drinking containers. We are really happy with what we have now, and have some further tips for you based on our experiences. 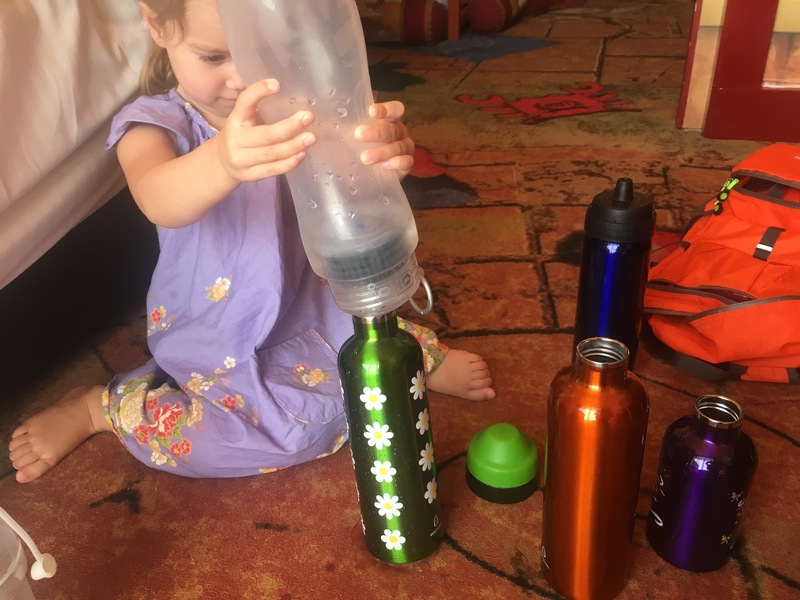 2 The very best drink bottles for everyday family use. 3 Other great drink bottles for kids. We have tried several BPA-free plastic and stainless steel bottles, and prefer steel ones. They’re unbreakable, which is very important for life with kids! And they don’t stain or taste weird after a while. After trying single-walled and double-walled bottles, we prefer the double-walled, or insulated water bottles. They don’t get condensation down the side of the bottle and the liquid should last a whole day at the correct temperature, in any conditions. There are some beautiful glass bottles available now, and some are smaller sizes that could be used for kids. Some reusable baby bottles are also glass, which would be fine for adults to handle, but I don’t think glass would ever be a good choice for children to use themselves. Not even with a protective case! The glass is thick but they’re still breakable, and after a drop or two it’s only a mater of time before they crack. We haven’t tested them, but did have reusable glass straws that were supposedly very difficult to break. Well we managed to break EVERY SINGLE glass straw in our house, so guess what we only use now? Yep, stainless steel straws. Our kids have had some promotional bottles over the years that come with screw-cap lids. The bottles are usually ok (though always single-walled and often cheaper metal) but screw-cap lids aren’t great for young children. They either can’t get them open by themselves, or they manage to spill the contents from the large opening. Don’t go there! The very best drink bottles for everyday family use. They had to be leak-proof, for obvious reasons when travelling and living with kids! They had to be double-walled/insulated, because we dislike having our water heat up on a hot day, and we don’t want condensation dripping in our backpacks or car. I found Ecococoon drink bottles checked all of these boxes. They are insulated 18/8 stainless steel. And they have a one-way valve that only allows the water through when you take a drink, activated by your drinking motion. We have had our Ecococoons for over two years now, and use them in daily life at home as well as our 4 month trip through South East Asia. They have been refilled at a Rice Farm and Turtle Project in Malaysia, and in Siem Reap and Phnom Penh in Cambodia they were used at their Refill not Landfill stations. Our bottles have also been used through the mountains of Northern Thailand and in Singapore too, and now they’re being used all around Australia in our caravan! Not to mention every flight, bus, car and train trip we have taken. And we haven’t had a single spill from them, plus the water has always stayed a perfect temperature. They are also easy to fill and are a good size to last for a day’s outing. Leak-proof: This is their best feature, and we have tested it well! I am confident with using them in the car or plane, next to the bed or computer, and in our backpacks too. They do not leak when being bumped around or carried, and they can’t spill while you’re drinking from them either. The one-way valve is genius! Easy for anyone to operate: There’s no need to adjust anything to take a drink from these bottles. Once the cap is off you can drink from them anytime, without the risk of a spill. At home we keep the caps off and our kids have them around all day, ready to use. And they are easy for little hands to hold and operate, even without handles like a sippy cup. Temperature control: Ecococoon’s insulation is excellent, and keeps our water cold all day. Even when leaving them in the car in the heat of an Aussie summer, the water stays cold! They can be used to keep hot drinks hot too, though Ecococoon recommends getting a screw-cap lid for hot drinks instead of the standard mouthpiece. Allegra filling our Ecococoons with cold filtered water, ready for a hot day of fun at Legoland, Malaysia! Interchangeable Mouthpieces: Their mouth pieces are the same size regardless of the bottle capacity, which makes life easier for grown ups doing the dishes! No need to waste time matching up lids and bottles. Minimal pieces: Ecococoon water bottles only have 3 pieces, which fully detach and clean easily. I love not having to insert straws and fiddle about with small parts. And if the lid or mouthpiece gets damaged or lost, you can buy replacements and still use your stainless steel bottle. Width: They are little bit wider than some cup holders unfortunately: they’re too big for our car’s back seat, but not for our front seat! They do fit in the kid’s backpack water bottle holders though. Weight: They are heavy when full. Being insulated and wide they can be heavy for carrying them around all day. Printing: Like most stainless steel bottles, the beautiful designs will scratch off if they’re dropped or dragged along hard surfaces. Ecococoon’s base colour stays on better but also starts to wear after a lot of use. You can buy a ‘cuddler’ for them, which is a neoprene protective case that also comes with a carry strap. We haven’t got them but they look good if you want to protect your bottle or carry it more easily. Detachable caps: We lost a couple of the caps, which is a bit of a pain to keep the mouthpieces clean while we’re out now. The caps fully detach from the mouth piece which is great for cleaning and interchanging them, but not so great to keep track of them. Nothing is perfect I guess though! 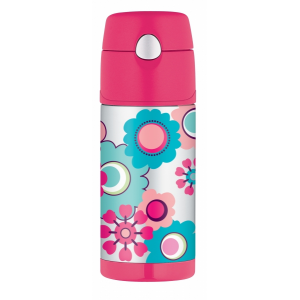 They are still our favourite water bottles, and we have tried many, many types. Ecococoon bottles come in 3 sizes: 350ml, 500ml and 600ml. Allegra is 4 and she has had the smallest size since she turned 3. We recommend the 500ml for children over about 5 years old. For older kids and adults, we recommend the 600ml. Dante would be fine with the 500ml at his age (8) but as we want to keep them forever, we bought him the largest size. It will last him well but is a little heavy for him to carry around all day. Due to their weight, I wouldn’t recommend even the smallest Ecococoon for infants. But most toddlers would be fine with them, and they work beautifully for a warm milk drink as well as cold water. International stockists are listed here. Other great drink bottles for kids. These brands are our runner’s up choices. If you can’t find Ecococoon nearby, you might like to try Klean Kanteen or Thermos Funtainers. 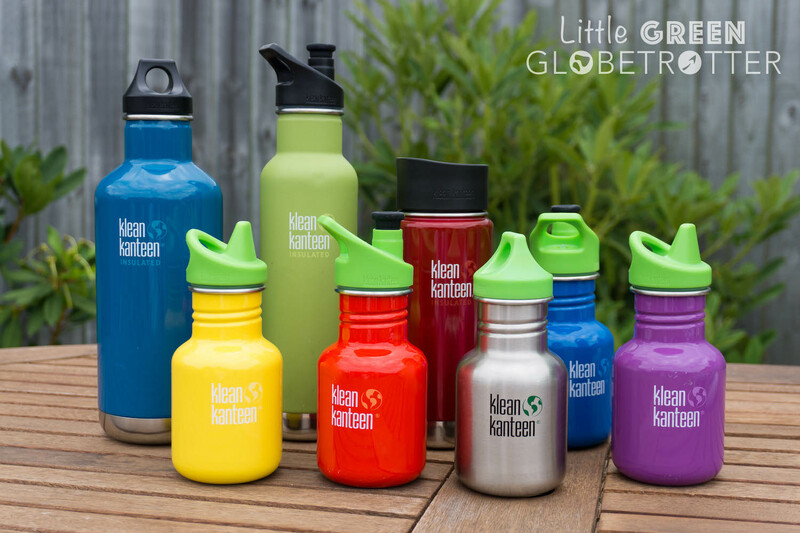 “Klean Kanteen’s insulated range are my family’s go to for both hot and cold drinks. 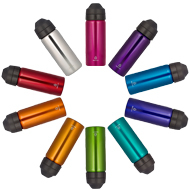 The stainless steel bottles, which come in a huge range of gorgeous colours and finishes, are vacuüm insulated and make big promises they absolutely can keep! Depending on the size of your bottle, cold drinks stay cold for up to 100 hours (yes, 4 days!) and hot drinks stay hot for up to 14 hours. I can’t say I’ve tried leaving drinks for this long but I can testify to water still tasting refreshingly cold after at least 24 hours in the height of summer, and a coffee remaining hot for a full day at work. 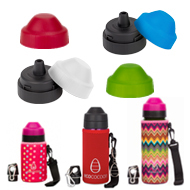 The sports, café and kids’ sippy caps are all leak proof and can be put in the dishwasher. They are also easy to disassemble and wash by hand to ensure no mould growth. My 2 year old started using his Kid Kanteen bottle from about 8 months and has had no trouble grasping and lifting it himself, although the insulated Kid Kanteens are a bit heavier. We preferred his sippy cap to be free-flow so we simply removed the plastic inner and sacrificed it being leak proof, instead opting to also buy a loop cap to seal the bottle for transportation. Now that he’s older and stronger, he can also use the sports cap and is able to pull it open himself; this is definitely a good option for older children. 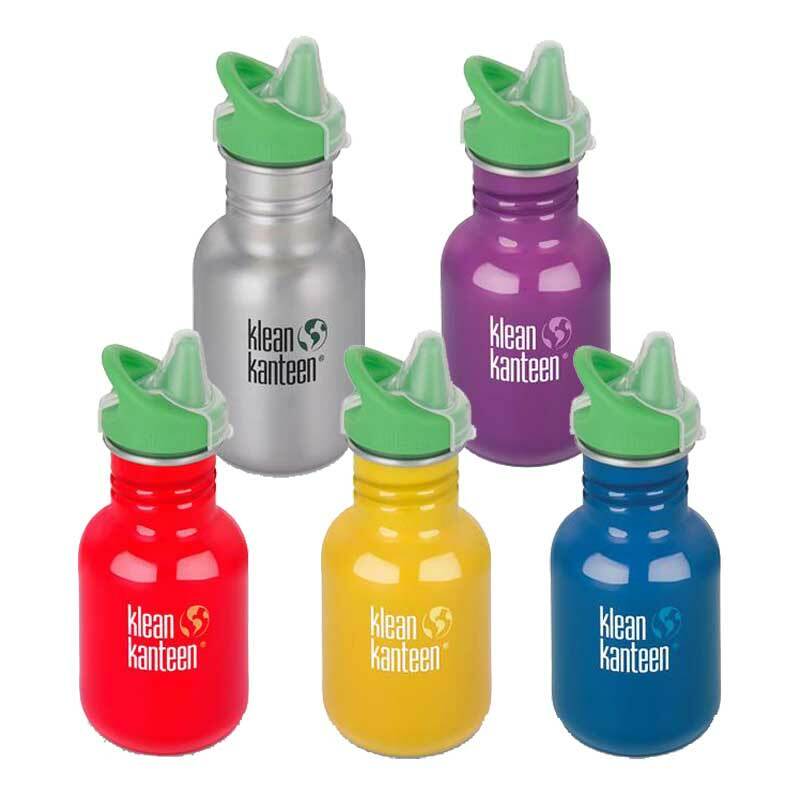 Browse the range of Klean Kanteen drink bottles on Amazon. These were our kid’s favourites before we found Ecococoon. They are tough, easy for children to use, and their insulation is excellent. I compared our Funtainers once to an expensive insulated brand that I had (not Ecococoon), by filling them at the same time with the same cold water. When I drank from both many hours later, the kids’ water was still very cold, but mine had heated up considerably. After that I always felt confident putting smoothies or drinks that had to stay cold in their bottles, as I knew they would last all day. The Funtainers have pop-up straw valves activated by a button, which my kids loved to press. The straws are fine for us which we’re at home, but as mentioned earlier, I didn’t want to take fiddly parts away travelling. Some people worry about the cleanliness of reusable straws, and you do have to be vigilant with them. Careful washing in hot soapy water with a straw brush is how we care for them. One thing to be aware of with the Funtainers is, if the straw valve is still wet when you insert it into the lid, the valve won’t seal when you screw the lid on. We had a few spills that way before we worked out what was going on. Otherwise they are leak-proof. Dante did manage to break his plastic lid, from dropping it many times. You can buy replacement lids and straws for Funtainers though, which is handy! 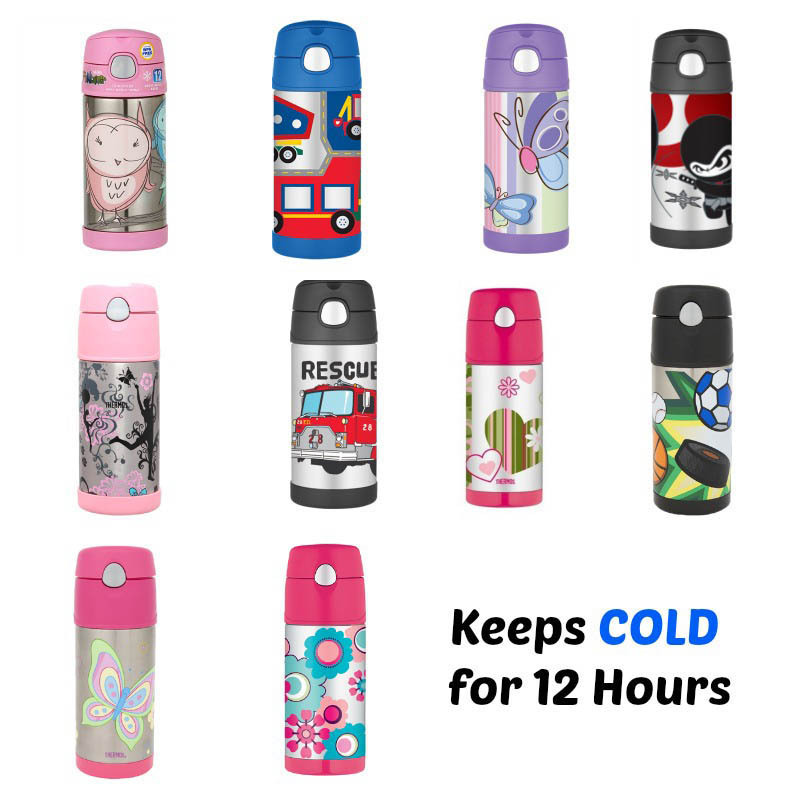 Browse a big range of Thermos Funtainer drink bottles on Amazon. So there you have it! 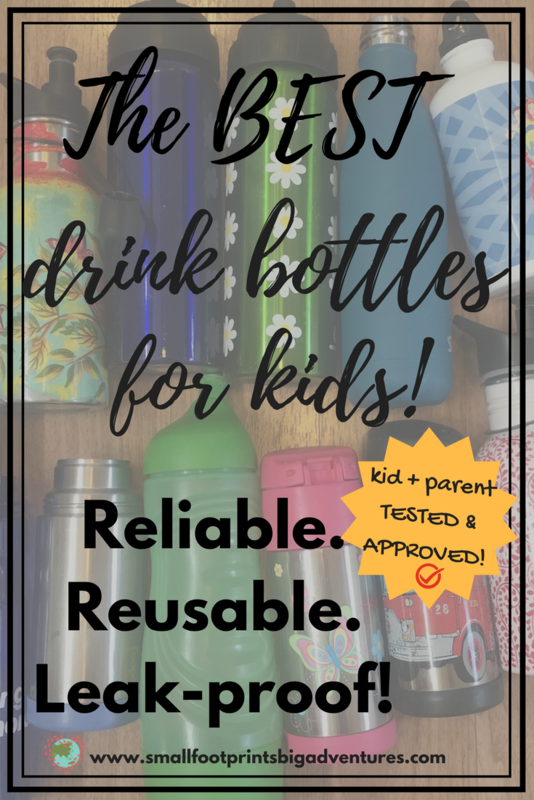 Our fully tested and approved recommendations for kid’s reusable drink bottles. We have found these brands to be very reliable and are confident in endorsing them, and we hope you enjoy them as much as we have! And good on you for researching this topic thoroughly, and making an informed decision about your purchase. In doing so you have ensured your children will have healthy solutions in their life, and our planet has been taken care of too. Let us know if you try any of these brands, or add your own recommendations in the comments. And please share or pin this post for later! Next story Our quest for an ethical elephant encounter: the Mahouts Elephant Foundation. Previous story Responsible travel in Siem Reap, Cambodia. It’s easier than you think!